Leader of Jobbik Party resigns from leadership positions following release of recording of an admission of an anti-Semitic act. A leader of the extremist Jobbik Party in Hungary has resigned his leadership positions following the release of a recording of an admission of an anti-Semitic act, JTA reported on Sunday. Jobbik deputy group leader and parliamentary notary Istvan Szavay resigned his positions on Thursday, Hungary Today reported, though he will remain a member of Parliament. Szavay was heard in the recording admitting to verbally and physically assaulting a Jewish woman, though he claims she started it. “She was yelling, ‘Nazis are stinking here,’ and I just knocked her out, dirty Jew, pakk, just like this,” he said on the recording. Szavay said he did not actually physically harm the woman. 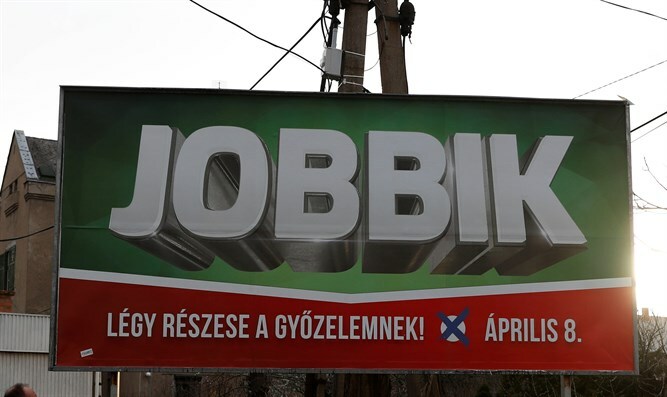 Jobbik, Hungary’s second most popular political party with 26 out of 199 seats in parliament, is blamed for much of the anti-Semitism which remains prevalent in the country. In 2014, a town mayor linked to Jobbik was filmed ordering the hanging of effigies of Prime Minister Binyamin Netanyahu and former president Shimon Peres in protest against the Gaza conflict.